I’ve been quiet on the blog lately. It’s summer time (yes really, despite the weird weather) and so it is my favourite time, Festival Season. I started in May of course, then there was a long gap (picture my sad face here) but then it was July and at the end of it there was Camp Bestival! Yippee! This year the headliners were the Kaiser Chiefs so with a huge dose of over excitement I had bought my tickets as soon as they were available. I once thought DD had grown too old for Camp Bestival, after all it’s Bestival’s younger sibling; a festival that caters for breastfeeding mums, tiny babies, toddlers, and over excited 4 year old Mr Tumble fans. But since the arrival of the Den and this year a really excellent lineup (my teen demanded a T shirt with the band list on the back this year, a sure fire way to check if your festival is ‘cool’) we are both back in love again, in fact DD has declared it once again has the top slot in her ‘favourite festivals’. We arrived on Thursday and pitched up on a rapidly filling camp site. 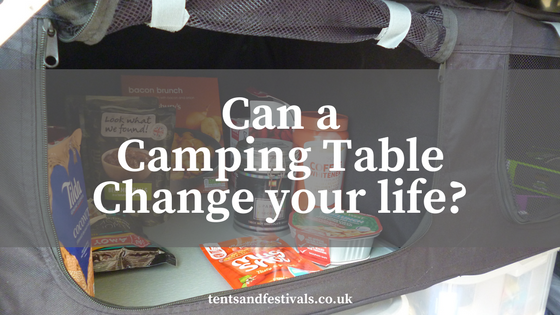 I love the main camping fields, the boutique and glamping fields always look a bit regimented to me. I love to look at the various tent styles, the mix of colours and shapes, the way everyone squeezes their tents into each gap, I imagine from the air it would resemble a vast game of Tetris as we all set up. The weather was perfect, I suspect Rob Da Bank is in league with mysterious powers as he seems to always have perfect weather for this amazing festival. DD enjoyed just roaming the site, meeting up with one of her teachers (what are the chances!?) who was leading nature walks down to the lake, of course we had to go, and it was lovely. I wore my ballgown (of course) and rabbit ears…and now DD is dreading the next parents evening. We watched movies (Madagascar, yes I've seen it before - I still cried) in the morning in the Big Top, while eating bacon sandwiches and drinking cranberry and vodka, my festival breakfast drink of choice. We also enjoyed watching the stunt riding at the jousting arena, this year 'Cossack' themed, excellent riding and stunning horses. Talking of food, I was able to lose my Nandos virginity this year at Camp Bestival, I opted for a ‘hot’ wrap while DD went for ‘no sauce, milder than mild’. I rather enjoyed it too, cheeky. The Insect Circus had some new acts and was as much fun as always. Listening to The Kings Parade at the bandstand in glorious sunshine, while I lay on my blanket (I was just resting my eyes!) was so lovely and relaxing and Dd loved hearing Ella Henderson on the main stage, though a set change meant we missed a food talk I had hoped to attend. A surprise favourite for me was a band I had previously never heard of (spookily we heard their latest track on Radio 1 as we drove to Camp Bestival!) Slaves, very fun and punk, and energetic, I still think that’s one of the best things about festivals, the random discoveries. The Kaiser Chiefs were excellent, despite a packed field so we didn’t have a great view it was fun to join in the massed sing-along with Ruby Ruby Ruby Ruby! (ahaaaaaahahaaahaaa) And the fireworks that close the whole thing were as good as always. So much more to see and do than I've mentioned here - a real 'week's holiday in 4 days' - do check out the slide show below. Can't wait for next year now - the countdown has begun. Grab you tickets at http://www.campbestival.net/tickets where you can sign up for a weekly payment plan to spread the cost at no extra cost to you! *PS yes I can say and write the word, I just favour not having the blog found via it as a search term! I'm not a prude, honest!